No matter if Mrs. Wojtanowski was a doctor or not, she was probably far more professional than Dr. Joe Bills Reynolds, whose practice left 21-year-old Gaylene Golden dead on September 30, 1985. Reynoldwas a jack of all trades, doing a variety of elective surgeries, including abortions, in his filthy clinic. Reynolds' anesthetist, age 60, had originally been hired as a janitor, and an untrained orderly was acting as his nurse. The operating room was littered with dirty cups and papers. Reynolds performed the abortion on Gaylene in his Oklahoma City office. Due to a cervical laceration, Gaylene developed an embolism -- both air and amniotic fluid in her bloodstream. This embolism killed her on the spot, leaving her son motherless. ADDENDUM: Reynolds' daughter, Shelly Reynolds, was charged with performing at least seven abortion without a license at her father's clinic after he was stripped of his own license. Rosalla Rockhill, age 19, died September 29, 1915 at Ravenswood Hospital in Chicago from an abortion. An unidentified midwife was blamed in Marie's death. Twenty-one-year-old Anna Marie Dimford died the same day at Rhodes Avenue Hospital in Chicago. Anna Marie's father was a farmer in Kewanee, Illinois, and her mother ran a boarding house. Anna, then 16 years old, was working in an iron mill to help support her five younger siblings. “The girl left the farm for Chicago thirteen months ago and for a long time her parents didn't know how she earned her livelihood. The last time they heard from her she wrote that she was employed as check girl in a restaurant, her mother said.” John Harris, a waiter, admitted to being the baby's father and to having paid $200 for the abortion. He gave the names and addresses of the doctors involved, both of whom fled. 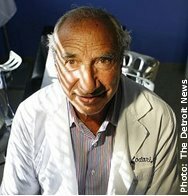 Dr. Harold M. Weinbert, who attended Anna in her final illness, said she named a Dr. Ness on the West Side as her abortionist. 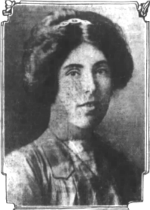 On September 29, 1917, 27-year-old Annie DeGroote, who worked as a salad maker, died in her Chicago home from a criminal abortion perpetrated by Dr. Emma J. Warren. Warren, as well as Annie's husband Herman, were arrested for her death. Warren was indicted on October 15, 1917, but the case never went to trial. On September 29, 1923, 18-year-old Mollie Monilson, a native of Montreal, died in Chicago from complications of a criminal abortion. The person or persons responsible for her death were never identified or brought to justice, so we can't know if Mollie availed herself of one of the many physicians or midwives practicing abortion in Chicago at the time. On September 29, 1923, 44-year-old Annie Allison, a London native living in Brooklyn, died at the office of chiropractor Henry Lee Mottard, who practiced under the name of Dr. Henry L. Green. Annie was a homemaker. Her husband, Herbert Allison, was a music professor. Annie was buried, but when suspicions were raised about her death her body was exhumed. Mottard alleged that Annie had died after an accidental fall down an elevator shaft at the premises. However, Annie's death certificate, signed by another physician, attributed her death to chronic cardiac nephritis. Police, who were investigating Mottard for his suspected involvement in a kidnap/adoption scheme, were suspicious and had Annie exhumed. It was revealed that she had died from an abortion. Mottard was arrested on suspicion of homicide. During the investigation, police searched Mottard's ten-acre farm outside the city for evidence of more bodies after allegations arose that Mottard had also performed an abortion there on a young woman the previous January. Mottard admitted to having performed three abortions in the farmhouse but denied having performed the fatal one on Annie. On September 28, 1929, 29-year-old Barbara Auer died in Chicago from complications of an illegal abortion performed at an unknown place. The person or persons responsible were never identified or prosecuted, so we can't know if she availed herself of one of the plethora of physicans and midwives practicing abortion in Chicago at that time. Rhonda Hess was 20 years old when she underwent a legal abortion. After the procedure, she developed an infection. The infection led to problems with clotting of the blood. Rhonda was taken to Moss Regional Hospital in Lake Charles, Louisiana, where she died on September 28, 1982. 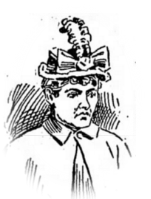 Mrs. Annie Heaney, age 28, died at Post Graduate Hospital in Chicago on September 26, 1906, from complications of a criminal abortion performed that day. Like many women seeking abortions in Chicago at the time, Annie had availed herself of a physician's services. Dr. Jonathan L. Miller was arrested in the death. On September 26, 1922, 35-year-old homemaker Mary Cybulski, a Polish immigrant, died at her Chicago home from peritonitis caused by a criminal abortion performed there that day. On November 15, Lucy Kozolwski, whose profession is not given, was indicted for felony murder in Mary's death. 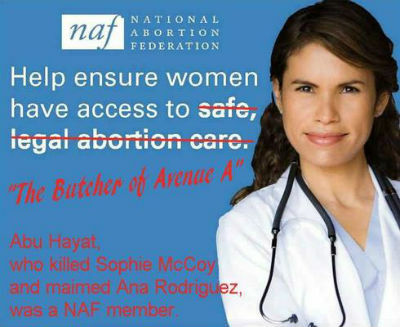 The National Abortion Federation Presents: "The Butcher of Avenue A"
On September 17, 1990, 17-year-old Sophie McCoy went to the office of National Abortion Federation member Abu Hayat. Sophie was accompanied by her mother and by the husband of the operator of a facility identified as "the Willoughby Avenue Clinic." She had been referred to him, but medical board documents do not say by whom. Sophie and her mother returned to Hayat's office the next day and paid $300 for the safe, legal abortion. Sophie was given intravenous medications which put her to sleep. She was kept about four hours and discharged with another prescription for antibiotics. The next day, September 19, she was taken to a hospital, reporting vaginal bleeding, chest pain, and shortness of breath. Dr. Harding, who treated her, discovered that Sophie had a perforated uterus and serious sepsis. An emergency hysterectomy was performed, but Sophie developed disseminated intravascular coagulopathy (a clotting disorder) and septic shock. Sophie died on September 26. She left a one-year-old son motherless. The case was reported to the district attorney and the New York Health Department, but nobody took any action against Hayat until he pulled the arm off an infant during an abortion attempt in 1991. The child, Ana Rosa Rodriguez, (pictured), was born at a nearby hospital. Her right arm was entirely absent from the shoulder. Hayat was arrested, charged with assault and illegal third-trimester abortion, and convicted. At about 9:00 on the morning of Sunday, September 25, 1892, 30-year-old Sophia Kuhn "died in great agony" at Cook County Hospital in Chicago. She had been brought there by ambulance the previous evening from Dr. Louise Hagenow's practice at 882 West Madison Street. "That the woman died from the result of a most cruel criminal operation is fairly well established, and an inquest to-day will beyond question reveal the details of what has every appearance of being little less than a butchery." Louise Hagenow and Ellen Hellieu were arrested. Sophia's father identified them as responsible for his daughter's death. Sophie, who had been separated from her husband for about two years, had been living with her sister, Mrs. White, at the time of the pregnancy and abortion. Sophie's brother-in-law, William White, said, "My sister-in-law left home about two weeks ago. She was then complaining of being sick and in trouble. I am certain she did not go to Mrs. Hagenow and the other doctors of her own accord. There was a man in the case who must have persuaded her to submit to an operation." While police were interviewing Hagenow, who also used the name Lucy Hagenow, at her practice, Hellieu "rushed breathless into her apartments. When she saw Dr. Hagenow's interviewer, she exclaimed: 'Don't say anything!' Then she sank exhausted upon a sofa." Hagenow had already been implicated in the abortion deaths of Louise Derchow, Annie Dories, Abbie Richards, Emma Dep in San Francisco before relocating to Chicago in 1890. On September 25, 1925, Faye McGinnis, a 23-year-old clerk, died at her home in Chicago from complications of an abortion performed that day. The coroner identified two physicians, Walter Penningdorf and Walter Voight, as being responsible. For Faye to choose a physician abortionist was common in Chicago in that era, though midwives were a popular choice as well. The doctors were arrested on September 25 and indicted for felony murder on October 15. Faye's husband, Roy McGinnis, was also arrested as an accomplice in his wife's death. Minnie Lathan is one of the women Life Dynamics identifies on their "Blackmun Wall" as having been killed by a safe and legal abortion. Minnie was 41 when she had an abortion and tubal ligation performed some time in September of 1978. Her uterus was perforated and her colon damaged during the procedure. She developed an infection and was hospitalized at Cleveland Clinic Hospital. She died there on September 25. Twenty-two-year-old Liliana Cortez, an immigrant, underwent a safe and legal abortion by Leo Kenneally at his Her Medical Clinic in Los Angeles on September 20, 1986. Other than having asthma, Liliana was in good health when she went for her abortion. After the procedure, she went into cardiac arrest. There was a 40-minute delay until the paramedics arrived to transport Liliana to a hospital. She died five days later. Liliana's death was ruled a "therapeutic misadventure," which a coroner's spokesman called, "a nice medical term for a mistake." An attorney for Her Medical Clinic said, "If something like this happened at a hospital ... people would just say it was bad luck, one of those flukey things. But ... all of a sudden they make it seem like these (abortion clinics) are terrible places where terrible things happen." Donna Heim and Michelle Thames also died after abortions at Her Medical Clinic. On September 24, 1927, 35-year-old homemaker Martha Kohnke died in Chicago from a criminal abortion performed that day. Nurse Emma Schultz was held by the coroner on October 5. Schultz had also been implicated in the abortion death of Mary Bambrick in October of 1911, but that case never went to trial. On September 9, 1930, 20-year-old telephone operator Matilda Kleinschmidt underwent a criminal abortion, believed to have been performed in the office of Dr. J. Murney Nicholson. When she took ill, her boyfriend told her that he would call in another doctor to care for her. Matilda insisted, "Another doctor won[']t look at me. He won[']t take the case." Matilda died on September 21. On September 22, Nicholson was held by the coroner for murder. John C. Ross was held as an accessory. Nicholson was indicted for felony murder in Matilda's death. Thanks to JoAnna Wahlund for alerting me to this abortion death, which I had previously not known about. n September of 1996, Gabriella Alonso underwent an abortion at the private clinic of Dr. Ivan Kovachev in Queens, New York. She was seven weeks pregnant. The abortion was performed under anesthesia administered by nurse-anesthetist Dennis Morton. The anesthetic, Brevital, was administered via IV, and additional oxygen was provided to Gabriella via a face mask. The only other clinic staff with any medical background at all were phlebotomists. Only Kovachev and Morton were trained in CPR. The abortion itself was uncomplicated. Gabriella was then transferred to a "recovery room," which was just a room with eight easy chairs and no medical equipment. There was no heart or respiration monitor, no blood pressure cuff, no "crash cart" for resuscitation. Kovachev later said that Gabriella was conscious coming out of the procedure room. Nurse Morton said that she was "drowsy," meaning that she was not yet alert enough that it would be safe for Morton to remove the oxygen mask. Gabriella was one of seven patients on whom Kovachev performed abortions in a 90-minute period, which allowed an average of ten minutes per patient. There were several patients in the "recovery room" in addition to Gabriella, but there was no medical oversight. The only clinic employee in the room was a billing clerk. After transferring Gabriella to her armchair, Kovachev and Morton went back into the procedure room to do an abortion on another patient. At some point the clerk noticed that Gabriella wasn't breathing and summoned Kovachev. He and Morton had to finish the other patient's abortion and bring her out of anesthesia before they could turn their attention to Gabriella. They brought her into the procedure room and performed CPR until ambulance staff arrived and took the comatose woman to Elmhurst Hospital. Kovachev attributed Gabriella's injury to "too much Brevital." Somebody reported Kovachev's treatment of Gabriella to the police, who confiscated several vials of medications that were two years past their expiration date. Gabriella spent the final six years of her life in a vegetative state until finally dying during the summer of 2002. On autopsy, Gabriella's brain showed the kind of shrinkage and hardening that is expected after years in a vegetative state. Ultimately pneumonia, a commonplace complication of a vegetative state, was the direct cause of Gabriella's death. To add more tragedy, documents from the lawsuit Gabriella's family had filed against Kovachev and Morton indicate that six months after Gabriella's abortion, the doctor and nurse had allowed another patient to lapse into a coma. When asked why the woman had been left comatose, Morton had replied, "I don't know." He also indicated that as far as he was concerned, his responsibility for the patient ended when the abortion was finished. He didn't seem to think that making sure that his patient was alert after anesthesia and being properly monitored with appropriate equipment and a trained staff person was any of his concern. Kovachev's qualifications also left a lot to be desired. He had attended medical school in Eastern Europe and only completed a single year of residency in the United States. He was not certified in obstetrics and gynecology. Still, his shortcomings were inexcusable. Dr. Melinek ruled Gabriella's death a homicide. To her knowledge, though, no action was ever taken against Kovachev by the medical board or law enforcement. Mary Gresky took ill, dying of blood poisoning on September 20, 1922, from a criminal abortion performed with some sort of instrument on September 16 in Ohio. On her deathbed, she named Mary Vargo as the perpetrator who used some sort of instrument on her. Mary Vargo was found guilty of criminal malpractice, but won an appeal on the grounds of of improper instructions to the jury, irregularities of the admission of the deathbed statement, and failure to prove that the abortion had been part of a prior pattern of criminal activity by Mary Vargo. I have been unable to determine Mary Vargo's profession. Liliana's death was ruled a "therapeutic misadventure," which a coroner's spokesman called, "a nice medical term for a mistake." An attorney for Her Medical Clinic said, "If something like this happened at a hospital ... people would just say it was bad luck, one of those flukey things. But ... all of a sudden they make it seem like these (abortion clinics) are terrible places where terrible things happen." Donna Heim and Michelle Thames also died after abortions at Her Medical Clinic. Sometime most likely in September of 1929, physician and surgeon H. W. Coulter performed an abortion upon 21-year-old Gene Raligh, leading to her death in Tacoma, Washington on September 18 from septicemia. Gene's survivors alleged that not only did Coulter injure her, but he also failed to treat her infection and instead concealed the extent of her illness and injury, preventing her from getting medical care that might have saved her life. At around 8:00 on the evening of September 17, 1958, 31-year-old "Glenda Coe" (named changed at request of family) and her four daughters got ready for bed. The girls retired for the night. The eldest girl, 12 years old, awoke at around 1:00 on the morning of September 18, 1958, and went to the master bedroom to find her mother dead. Before her death, Glenda had changed out of her nightclothes and into street clothes. At first, authorities suspected either natural death or a suicide. However, all evidence indicated that Glenda, a waitress, had been in good health before her death. An autopsy found that Glenda had died due to air bubbles in her bloodstream, and that she had been pregnant at the time of her death. A more careful examination determined that Glenda had died from an abortion attempt. Glenda and her ex-husband, 34-year-old James Paul Morton, had been divorced for several years. James was arrested for questioning. Witnesses said they had seen him at Glenda's home the night before her death. He was released after four days, though authorities declined to tell the press if he had been cleared or not. Thirty-six-year-old Kathy McKnight (pictured) of Charlotte, North Carolina underwent an abortion on September 17, 1993. Early the next morning, Kathy had trouble breathing. She was taken to University Memorial Hospital in Charlotte, North Carolina. Kathy died in the emergency room. Her autopsy revealed that she died of a pulmonary embolism. According to this administrative complaint, Regina Johnson (Identified only by the initials R.J.) was 32 years old when she went to Womancare of Southfield, Michigan on September 18, 2003. The clinic was owned by Dr. Abraham Alberto Hodari, darling of Medical Students for Choice. Regina was pregnant for the fourth time, having given birth once, and either aborted or miscarried twice. Hodari, owner of Womancare, was not present at the time. Nurse Litchtig performed an ultrasound, "even though there was no physician order for the study. She interpreted the study as showing a five week pregnancy and signed [Hodari's] name..." Nathanson initialed the ultrasound to confirm Lichtig's finding. CRNA Thompson did the anesthesia while Dr. Milton Nathanson did the abortion. Regina was given 200 mg of Diprivan, 2 mg Fentanyl, .2mg Gylcopyrrolate, and Droperidol to anestetize her for the abortion, which was charted as taking place from 9:55 to 10:05 a.m. Though Hodari's recovery room was equipped with a stethescope, oxygen bag/valve mask, and digital blood pressure cuff, it was not equipped with an EKG monitor, pulse oximeter, or automatic blood pressure/pulse monitor with alarm for monitoring patients, or with oxygen, a difibrillator, or other resuscitaiton equipment. The Administrative Complaint found Hodari to be negligent, incompetent, and lacking in good moral character. Hodari did not contest the findings, instead cooperating with bringing his facility up to standards to pass an inspection by an anesthesiologist in February of 2009. But in the mean time, he'd performed the fatal abortions on Tamiia Russell and Chivon Williams in 2004. One of the few cases I've found in which a criminal abortionist wasn't a doctor is also one of the strangest cases I've found. The abortionist, Sarah Howe, age 57, had been blind since she was three years old. Authorities had been aware that Howe was an abortionist, and had struggled for 25 years to get enough evidence to actually win a conviction once 23-year-old Helen Clark took ill. Helen had undergone the abortion at Howe's hands on September 6, 1941. Helen took ill. On September 14, Helen identified Howe as the person who had perpetrated her abortion. Two days later, September 16, Helen died. Howe was charged with abortion and with manslaughter in Helen's death. The jury deliberated for seven hours before finding Howe guilty of abortion but not of manslaughter. She could have saved everybody, including a lot of trouble, had she just gone with the plea bargain initially offered to her: guilty on the abortion with the manslaughter charge dropped. "Now I have a chance to go right and to make myself right in the eyes of God," Howe said after hearing the verdict. "I will never again return to that practice." She was sentenced to two to four years in prison. Dr. David Gluck's medical license had been revoked for three years after selling controlled substances to finance his gambling addiction. Two months later he was still working as Medical Director at Center for Reproductive and Sexual Health (C.R.A.S.H.) when abortion patient "K.B." 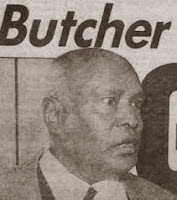 died in 1988.Authorities who inspected the clinic after K.B's death found the place filthy, and noted that K.B. 's post-operative report charted her as "pink, responsive, alert," even though she had gone into full cardio-respiratory arrest during the procedure. Authorities shut the place down, leaving the unlicensed Gluck unemployed. He found work, though, at Choices Women's Medical Center in Queens. The Choices clinic director said "We are firmly committed to helping people who are skilled medical professionals who have had a fall from grace." Their kindness to Gluck was not a kindness to 36-year-old Alerte Desanges, an immigrant from Haiti. Told that her 19-week fetus had deformities, Alerte went to Choices for a safe, legal abortion on September 16, 1994. She didn't survive the day. Staff said that after Gluck had completed her abortion, Alerte was "feisty, telling nurses she wanted to go home. Then all of a sudden, she coded, she went into cardiac arrest." Her blood pressure fell. Staff attempted to revive her, then transported her to a hospital. Her death was tentatively attributed to amniotic fluid embolism by staff. Tammy's family filed suit against Imran and the clinic. Imran's attorney said that Tammy's death was the clinic's fault. He said that the clinic staff did not monitor Tammy's vital signs, and did not inform him of her condition. The family's lawyer faulted Imran with leaving the clinic to go to another facility before Tammy was stable. A suit was filed on behalf of Venus Ortiz, age 23, against National Abortion Federation member Eastern Women's Center. Evidence indicated that the abortion of Venus' approximately 15-week pregnancy was performed by a Dr. Leiber. The abortion took place at Eastern February 24, 1993. Eastern's staff failed to promptly diagnose and attend to cardio-pulmonary arrest. Eastern's notes of 5:35 PM indicate "2:35 PM end of surgery ... we noticed patient's ashen color and the pulse oximeter tracing and digital readout were gone from the monitor." Emergency medical services were called. The reading of Venus' blood pressure at that time was 90/55; four minutes later it was recorded as being 146/62.Venus was transported by ambulance to a hospital, accompanied by Dr. Cyrus, Dr. Goodman, and/or Dr. Jeffrey P. Moskowitz. However, the damage had already been done. Venus was left in permanent need of respirator, with profound brain damage. Venus was hospitalized a little over five months before being transferred to permanent nursing home care. Venus remained in a permanent vegetative state for the remainder of her life. She died in a Staten Island nursing home on December 16, 1998 at the age of 29. Two other patients, Dawn Ravenelle and Dawn Mack, also died of complications of abortions done at Eastern Women's Center. Other women who suffered severe brain injuries and died years later from those abortion complications include Suzanne Logan, who languished, mute and paralyzed, for three years until her death on December 1, 1992, and Christi Stile, who spent nearly 22 years in a vegetative state until her death on March 29, 2015. A lawsuit filed on behalf of Shelby Moran, then a 39-year-old mother of five, alleged that she was given Prostaglandin F2 Alpha for a safe, legal abortion at Illinois Masonic Medical Center in January of 1978. She was about four months pregnant. Immediately after the drug was injected, Shelby experienced grossly abnormal elevation of her blood pressure. The abortionist, Dr. John J. Barton, thought that the elevation would be transient, and left the facility. Half an hour later, Shelby went into cardiopulmonary arrest. She suffered brain damage due to lack of oxygen, causing dementia and speech aphasia. Shelby was no longer able to care for herself, much less her five children. Her family was awarded $9.5 million on her behalf. She required 24-hour care in a nursing home until her death at Hazel Crest on September 16, 1999. On September 15, 1902, Mrs. Henrietta Appel, age 31, died in New York from an abortion perpetrated by midwife Lena Schott (pictured). The police had been notified about the abortion by Henrietta's husband, Samuel, while she was on her deathbed. Henrietta admitted the abortion to the authorities and indicated that her husband had not known about it. When police went to arrest Schott, they had to break into the home, and found Schott in the basement. She attacked the arresting officer, Captain Elbert O. Smith, nearly tearing off his uniform and pinning him on the floor until other officers could restrain her. After her arrest, Schott admitted that she had treated Henrietta. On September 15, 1925, Mary Williams, a 25-year-old Black woman born in Mississippi, died at Chicago's County Hospital from an abortion performed on her that day at an undisclosed location. The person responsible for Mary's death was never identified, so it's impossible to know if she availed herself lf one of the plethora of doctors and midwives practicing abortion in Chicago. On September 15, 1926, 23-year-old Mary Bailek, a native of Poland, died at Chicago's Lutheran Deaconnes Hospital from complications of a criminal abortion performed at her home that day. Rozalia Ossowska, alias Olszewski, was arrested for the death on October 7. Her profession is not given but according to the 1930 Census she was a midwife. She was born around 1888 in Germany and immigrated to the US in 1906. 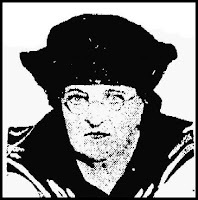 On March 15, 1927, she was indicted for felony murder by a grand jury.